Before Loki starred as a super villain in 2012’s biggest film, he was banished into a single mask, transforming the person wearing it into an incredible super human. 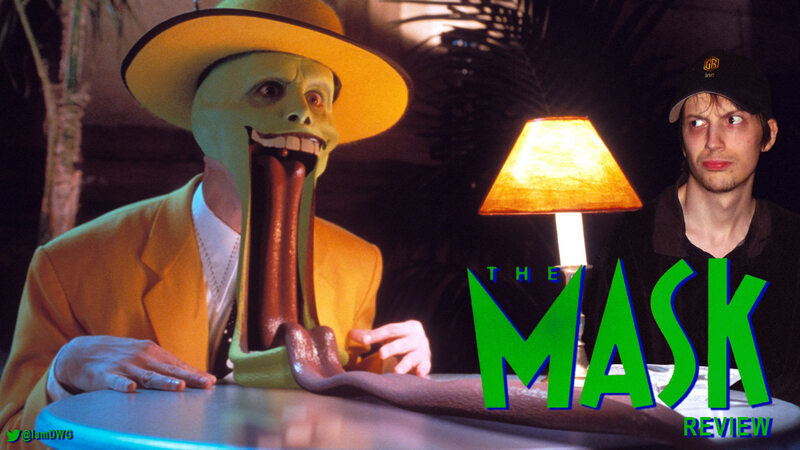 Most of you already know what I’m talking about, which is Jim Carrey’s hit film “The Mask“, but did you know it was based off of a comic book series of the same name? If you said no, that’s okay, I didn’t know either. Yes, Dark Horse Comics came out with the comic series back in 1991. Stanley Ipkiss (Carrey) is your average run-of-the-mill bank teller living an ordinary life of solitude and loneliness. When he comes across a green mask floating in the sea, he immediately becomes intrigued. Upon putting the mask on, he is transformed into “The Mask”, a creature capable of doing pretty much anything the wearer desires. Stanley was a huge supporter of cartoons, and so the mask turned him into, pretty much, a cartoon character. All the while a group of bank robbers make their rounds, but are thwarted by the mask. What happens though, when someone else wears the mask? Stanley must turn attention away from investigators hot on his trail, and Tina (Cameron Diaz), the love of his life from her ultimate demise. Here is what I remember about the movie when I first saw it – it is hilarious. 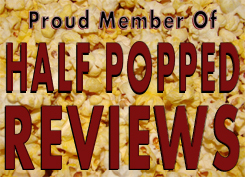 Here is what I thought after watching it again after so long…actually it is only funny in select parts, those parts aren’t as often as they should be. Instead, I don’t know what category to place this in. Crime, yes, comedy? I don’t know. It has a very light and loopy tone, and it a joy to watch someone gain cartoon-like powers, but I honestly didn’t laugh that much. Yes, there were parts I chuckled as well, so for the most part, I think either I wasn’t a fan of the writing, or the jokes really were dull. Whatever the case, this movie (as mentioned above) is a memorable classic for so many reasons. The Mask is an incredibly memorable character. He is yet another character perfectly shaped for Jim Carrey’s over-the-top personality. The setting of the film felt natural for everything. The lines in the film were also equally as memorable. All of this was enough to spawn a Saturday morning cartoon show with the same name. I watched the cartoon for the mask and I adored it. Did you know that there was also a cartoon for “Ace Ventura” and “Dumb and Dumber“? I knew about Ace, but the other I was surprised….good job, Mr. Carrey – that is impressive, all of your 1994 movies were made into cartoons. It’s a conspiracy I say! Jim Carrey had some great on-screen chemistry with all of the leads in this film including Richard Jeni as Charlie Schumaker, Peter Riegert as Lt. Mitch Kellaway, Peter Green as Dorian Tyrell, Amy Yasbeck as Peggy Brandt, and of course Cameron Diaz as Tina Carlyle. I am increasingly surprised at how well naturally chemistry comes to Jim Carrey. He’s a genius and a scholar…..or something. The visuals bring back nostalgia for me. No, there were some pretty bad CGI effects here and there, but because this was very cartoon-related, it is something incredibly easy to look past. So what if it doesn’t look very real, it’s a cartoon, ya know? However funny or not funny it was, everything felt in place. So I was very conflicted as to how rate this. I really do like it, I was just surprised at how it was more loopy and light than it was funny. Maybe that’s just me, though. This is by far my favorite Jim Carrey comedy. I’ve seen it about 200 times, maybe more. Don’t get me wrong, those movies are amazing, but The Mask was the first Carrey movie that I saw and for that it really sticks with me. Haha, I feel ya there for sure. Happy Holidays!